The snow and rain are filling the reservoirs, and the outlook for the irrigation season is good, however, they are now in flood control mode. That's what Ochoco Irrigation District Manager Bruce Scanlon reports. "With the rain and warmer weather, we have seen some significant filling of our reservoirs — especially Prineville," he said. The Bureau of Reclamation has begun increasing the outflows from Bowman Dam in response to the increased inflows and significant snow pack. "We're definitely having to let more out as that snow starts to come off with all this rain," Scanlon said, noting that the snow pack levels are high. "When you add in all of the additional rain that we've gotten, plus the higher temperatures, we're getting a lot of water coming into the reservoir." 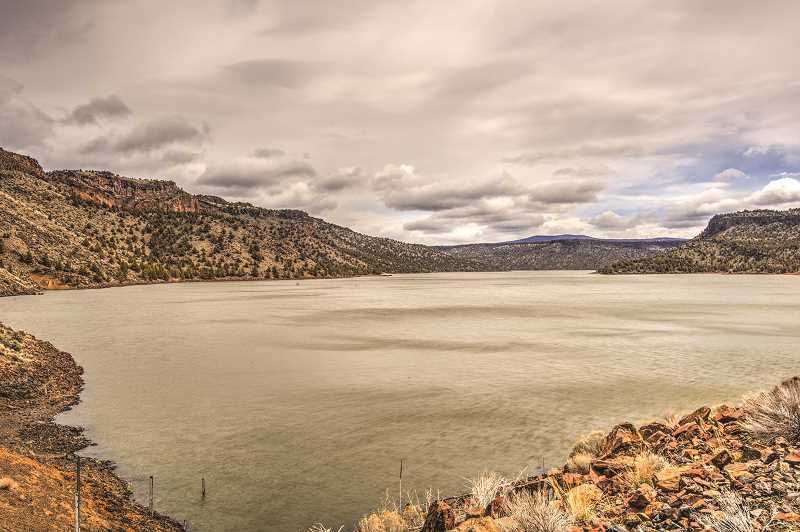 As of Thursday morning, Prineville Reservoir was 90 percent full. 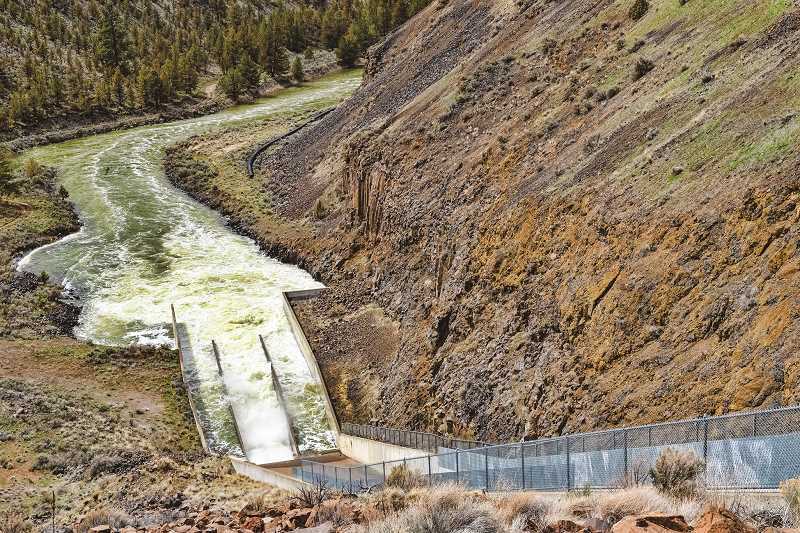 Scanlon reported that water from the Crooked River was coming into the reservoir above the Bowman Dam at 3,000 cubic feet per second, and they were releasing water at a rate of 3,000 cfs. "We have now stabilized as of today," he said Thursday. But, those numbers have changed throughout the week. On Monday, Scanlon said water was entering the reservoir at 5,000 cfs, and they were releasing it at 2,000 cfs. But Tuesday, water was coming in at nearly 8,000 cfs, so they had to bump the outflow up to the maximum of 3,000 cfs. "There's a whole lot more coming in than is coming out, and it's filling, and we need to not get too full too fast because there's still so much snow up in the hills," Scanlon said earlier in the week. Scanlon anticipates that Prineville Reservoir will completely fill. "We're going to keep it as stable as we can for right now, since we are so close to the full stage," he said. On Thursday morning, the Ochoco Meadows SNOTEL site was 172 percent of the median. "Usually, we should have about 5.8 inches of water in the snow up there, and we've got 10 inches of water in the snow up there," Scanlon said, noting that Derr Meadows SNOTEL site is at 154 percent of normal. "There's a lot of snow that is still yet to come off, and with only 10 percent space in the reservoir, we're going to need to continue to maintain outflows for a period of time." Ochoco Reservoir is about 57 percent full, but Scanlon does not anticipate needing to switch to flood control mode. He advised the public to be aware of rising water and to keep children and pets away from the fast-flowing water. "It's going to make some people uncomfortable, I understand that, but it's not uncommon for Prineville to deal with this when we have such big snow and rain events," Scanlon said of the high rivers. At the beginning of February, the average snow depth at Marks Creek Snow Course, about 25 miles east of Prineville, was 4.9 inches. At the end of March, it was 10.3 inches with 5.3 inches of average water content. The Ochoco Meadows Snow Course, near Walton Lake, rose from 28 inches in early February to 37 inches in late March with 15.4 inches of average water content. Derr Meadows Snow Course, near Mitchell, had a 31-inch snow depth in February and remained at 31 inches on April 4 with 14 inches of average water content. OID anticipates flushing their canal systems on Monday, April 15, but Scanlon noted that the recent rains may delay the flushing a few days. The district will begin with the Crooked River Diversion and Distribution canals and then Ochoco Main Canal. The district asks those living along the canals to remove any water gaps, obstructions or personal items that may be in the canal right of way or in the canal itself. They also advise caution with children and pets. During their April 15 board meeting, they will finalize the allocations for the irrigation season and have a better idea of when they will have water in the ditches and start irrigating. April 29 is the tentative date for the official irrigation season to begin. "If the forecast continues to hold with so much rain, we won't have anybody that really wants the water, so we may hold off a little bit and try to conserve, especially to try to get Ochoco a little bit closer to fill," Scanlon pointed out. The good news for growers is that the outlook is good for the growing season. "We're very blessed this winter, and all those prayers for snow have been answered," Scanlon chuckled. "We're pretty happy that the water and recharge has come off the way it has, and we should have a good irrigation season." He expects 90 percent of the growers to continue to produce hay and alfalfa with the remaining being a small variety of other crops, including carrot seed. Despite the heavy snowfall and recent rains, Scanlon pointed out that the state still classifies most of Crook County as technically still in a drought. "Even though we've got all of this stuff now, we're going to try our best to conserve it and keep it for the long haul because it could be still another dry year," he said.